22K and 18K gold featuring six kite shape diamonds weighing 6.4 ctw. Approximate height 1 7/8”. Available for reproduction. 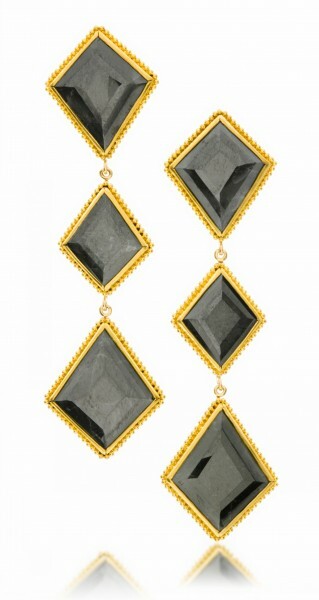 Please note that Shades of Black diamond colors may vary as well as exact earring measurements. Please allow time to source stones.